Two days presentation at the 4th FERRARA INTERNATIONAL WORKSHOP 2018 EDITION. Presentation of new products and update on ventilated roofs in presence of architects, engineers and surveyors. Thanks to 450 exhibitors and a comprehensive information program, Klimahouse is the leading trade show on sustainable construction in Italy. The University of Ferrara participated with a presentation of the results of the LifeHEROTile project, a paper that will be published in the records, a poster and an oral presentation. In the three days of the Conference and in the different sessions, about 150 researchers from all over the world attended the event. 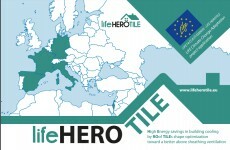 On June 22nd, in Nice, within the framework of the Annual Congress of Tiles and Bricks Europe (TBE), there was the Mid-Term Conference of Life HEROTile, during which the partners presented the progress of the project to the members of TBE and other stakeholders. The Conference took place in Nice, in the charming venue of Hotel le Royal in Promenade des Anglais. During the conference, the Coordinator of the Life HEROTile project, Mario Cunial, presented the project to the participants, with a view to pass the message of the importance of including in the future legislative initiatives, at least as a best practice, the concept of the roofs with the new optimized-shape tiles developed by the project, which allow major ventilation and the reduction of the conditioning consumption in summer, thus contributing to the improvement of the energy efficiency of buildings. In the framework of the forum “Perspective EU”, an international forum which this year is at its eighth edition and gathered 150 architects, 30 sponsor companies, 11 real estate companies and 22 engineering companies, the partner to the Life HEROTile project, the company TERREAL, presented the project both in the workshop and in the one-to-one meetings. 36 students of Industrial Product Design joined the seminar about Life HEROTILE Project methodology, then moved to the mock-up installed in Ferrara. Sustainable Energy 2016: The ISE Annual Conference aims at bringing the latest developments in the energy fields to the attention and knowledge of all stakeholders. The areas of interest cover many topics ranging from solar photovoltaic cell development, buildings, wind energy, solar cooling and phase-change materials. 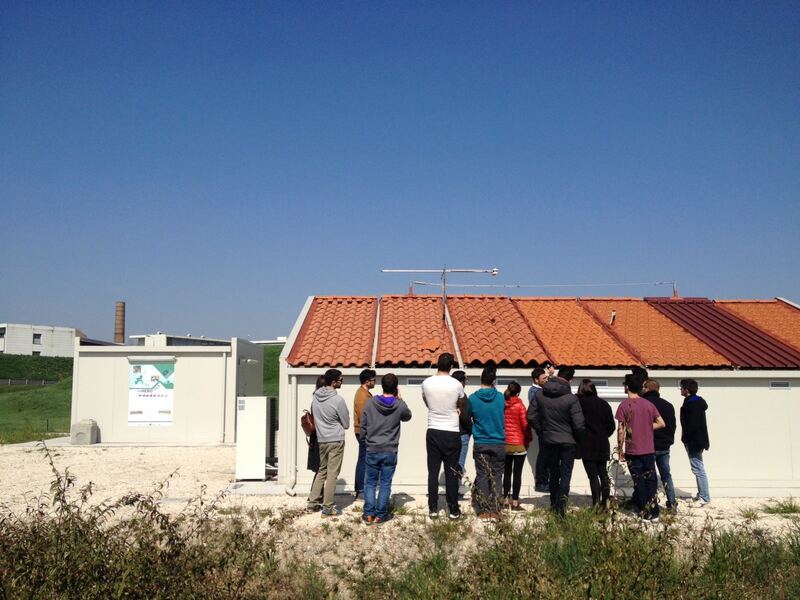 Study Visit at LIFE HEROTILE mock-up building of the Hungarian LIFE National Contact Point TEAM, within the “LIFE Capacity Building in Hungary” Project and with the participation of the Italian Ministry of the Environment.